In 1885 Cuban cigar maker Eduardo H. Gato, Jr. built this handsome, rambling Victorian home on the northwest corner of the world-renowned Duval Street. However, he soon wearied of the way the sun struck one of his favorite porches, and he called back the carpenters. He had the huge structure rolled across the street over logs, pulled by mules, and spun around to suit himself and the many guests who now enjoy its cool, shady porches. Staying at the Southernmost Point Guest House is like a visit to paradise with old, comfortable friends. The cordial warmth is led by Mona Santiago and family. Your every request is provided by the staff of this friendly guest house. Begin your day with a continental breakfast on the spacious veranda; then see the many sights of historic Key West. Relax in the sun at South Beach, which is just a short half-block walk up Duval Street. We'll provide the beach chairs & towels! Relax any time of the day under the palms in our lush, garden area, or soak those worries away in our newly-built, pool-size Jacuzzi and gaze into the newly built butterfly and nature conservatory. Wireless Internet now available. Inquire at check-in. 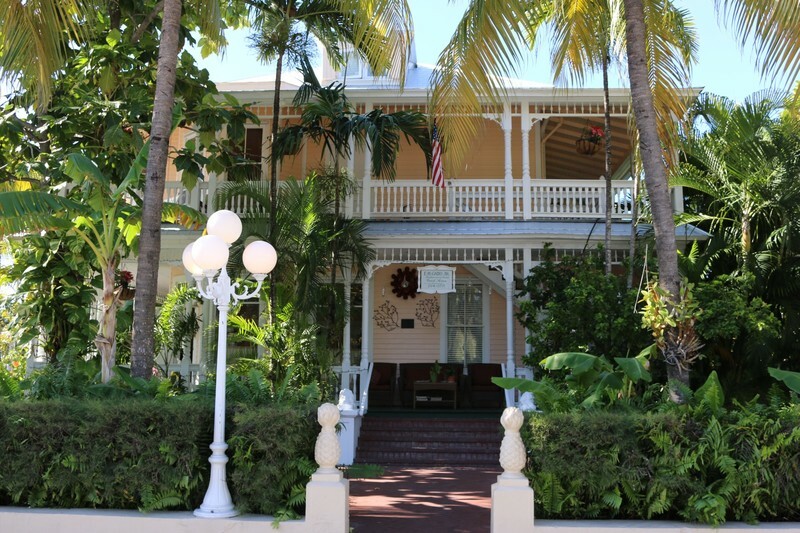 As well as being one of the finest, most hospitable lodgings in this fabulous "island paradise," the Southernmost Point Guest House is vintage Key West. Your family's home away from home is waiting for you at Southernmost Point Guest House.